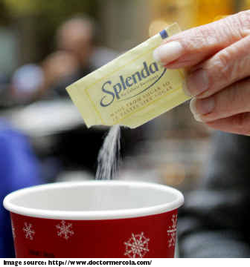 I am allergic to sucralose (Splenda®). Can I still participate in the program? "A person can complete our dietary program without ingesting any sucralose whatsoever. Not only that, but they can still enjoy a wide range of delicious foods to keep the diet from becoming boring. They may choose the Fine Herb and Cheese Omelet, and the Plain Omelet Mix for breakfast or one of the two flavors of pancakes—Chocolate Pancake and Muffin Mix or Plain Crepe. Lunch may consist of a bowl of vegetarian Chili, Spaghetti Bolognese, or one of the six fine soups we offer. Snacks, too, are available sans artificial sweeteners: " Soynuts (garlic & onion and BBQ) and Soy Puffs (BBQ and sour cream & onion), Sea Salt and Vinegar Chips, and an assortment of delicious bars: Caramel Crunch Bar, Choco Peanut Butter Bar, Lemon Poppyseed Bar, and the White-Choco Crispy Bar. You see, at Ideal Protein we know certain folks will not be able to tolerate various ingredients. This is why we use a substantial number of different protein sources (i.e. whey isolates, soy isolates, whole whey concentrate, whole milk concentrate, albumin and hydrolyzed collagen) all complete proteins with a high biological value. So if you are allergic to milk products you still can participate, same goes for soy intolerances as well as vegetarians. This is why we have invested the resources for developing so very many products. We wanted to make the wonderful health benefits of this program available to as many people as possible. In addition, please read our labels and compare our ingredients to all the other diet foods / programs on the market today. You will notice there are no preservatives in our products (that’s why we seal them in individual foil pouches) and there are no “words that you can’t pronounce”. In my opinion, Ideal Protein offers the “cleanest” dietary products on the market today. Excerpt: SUCRALOSE CONCERNS AND THE IDEAL PROTEIN DIET, Michael P. Ciell, R.Ph. plus updated information aboutproducts that do not contain sucralose. EDITOR'S NOTE: We are happy to "special order" any of the products required for a sucralose-free protocol if we do not currently have them in stock. A deposit is required for all special orders. Remember, you are working to control your pancreas and to lessen its activity. When your blood sugar drops because you have not eaten in a while or skipped a meal, your insulin levels drop, making you hungry. Often you will grab something high in sugar or carbohydrates to satisfy your craving. This will cause a rise in your insulin levels, above what is normal. This process makes you store fat. It is best to eat 6 small meals a day, or to "graze" on veggies and protein throughout the day to prevent drops in your blood sugar. You will feel satisfied and your mood will lift. You mind will not be centered around what to eat next and you will lose weight naturally.